Bharat Heavy Electricals Ltd (BHEL) has a great scope of offered services which is one reason why they continue to become successful. Currently, their work included design, manufacture, supply, erection and commissioning of solar plant. This is becoming a good market these days since there are now companies that need electricity for their daily production needs. When the company is also to put up a power plant they will also give some aid in operating and maintaining the solar power plant for a period of three years. Just recently, Bhel has been reported to have commissioned a 5-mw grid-connected solar power plant at Shivanasamudram located at Mandya in Karnataka. During the last fiscal year, Bhel had commissioned 15 mw of solar power plants in various parts of the country. The company also added in a statement that the Shivanasamudram project set up for Karnataka Power Corporation Ltd would be the single largest solar photovoltaic power plant in the state. Published on July 26, 2012 in Energy & Power. 0 Comments Tags: bhel, electricity, Karnataka, Mandya, photovoltaic power plant, Power Plant, solar power. 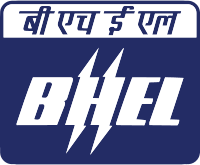 BHEL Bags 1020 MW Hydro Electric Project In Bhutan Worth Rs. 950 Cr.